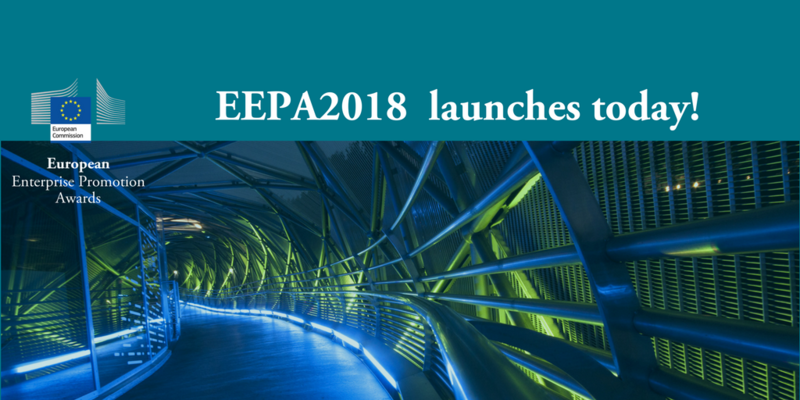 Today 05 February, marks the opening of the EEPA 2018 and the project nominations, which will be happening on a national level. National deadlines will differ across countries and will be communicated by the National Coordinators. Once the national competitions have taken place, European level submissions will be accepted until the deadline on 03 July. Upon receipt of all European nominations, the EEPA 2018 Jury meeting will take place in mid-September which will be followed by the announcement of the shortlist on by the end of September. The final step will be the prestigious awards ceremony, which will take place in Graz, Austria on Tuesday 20 November as part of the annual SME Assembly. After a temporary suspension in 2017, we are also pleased to announce that the category ‘Supporting the development of green markets and resource efficiency’ is back for 2018 and accepting submissions. The EU Sustainable Energy Week (EUSEW) is back for its 13th edition and giving you the chance to encourage and nominate projects to take part in this year’s Awards competition to determine the most innovative and impactful initiatives in energy transition. If you are working on, or know someone who is, developing projects that fit the description, it is your time to shine: you can either apply for an award or nominate your favourite activities, projects and actions. Interested? We look forward to receiving your application for one of this year’s categories: ‘Consumers’, for actions that lead to the behavioural change of individual energy users;‘Public Sector’, for exemplary initiatives led by public and non-profit organisations; ‘Businesses’, for forward-thinking businesses; and this year for the first time there will be a ‘Young Energy Leaders’ category, which aims to recognise extraordinary young individuals, or groups of individuals (under 30 years old), who are leading by example and impacting the sustainable energy field. Additionally, there is the ‘Citizens’ Award’ which will be granted via an online vote allowing the general public to reward their favourite project among the finalists of the aforementioned categories. 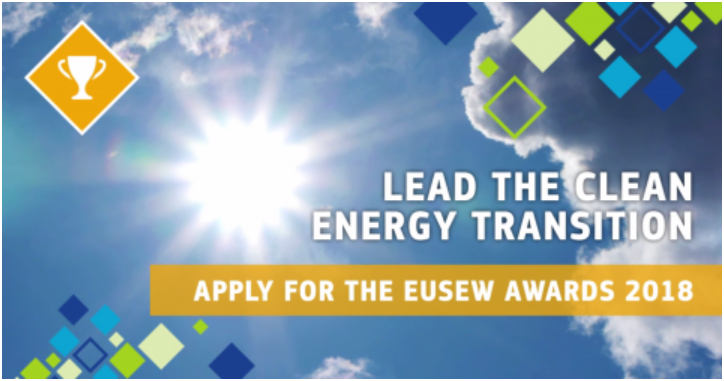 You can find further information about the awards, as well as eligibility, assessment rules and the application process, on the EUSEW2018 website. The deadline for applications is 23 February 2018. Organised by the European Commission (Directorate-General for Energy and EASME), EUSEW takes place every year in June. The 2018 focus is on energy transition and will cover a series of activities with an EU-wide scope. In addition to the EU Sustainable Energy Awards, event activities will feature a policy conference (5–7 June 2018), networking opportunities and local sustainable energy events, all dedicated to building a secure energy future for Europe. 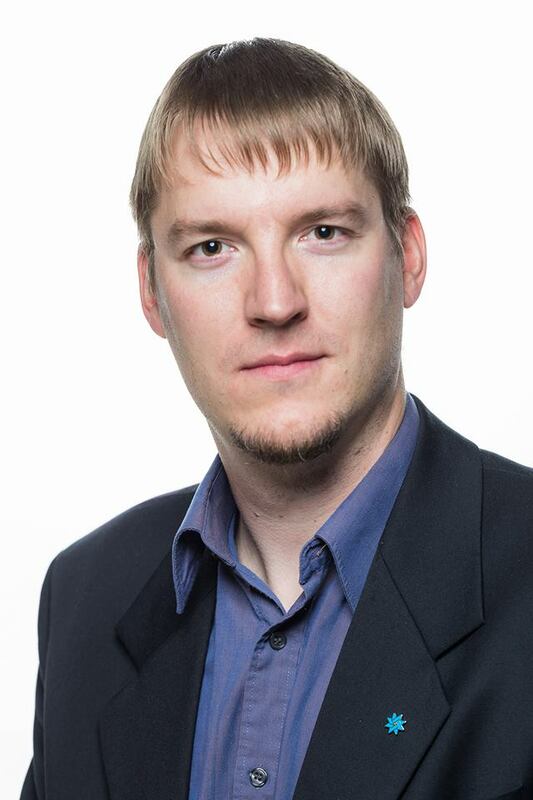 Read the original article here on the EASME website. Interested in green projects and initiatives? Read through the European Enterprise Promotion Awards submissions for the Supporting the development of green markets and resource efficiency category and discover the leading European projects in the sector.